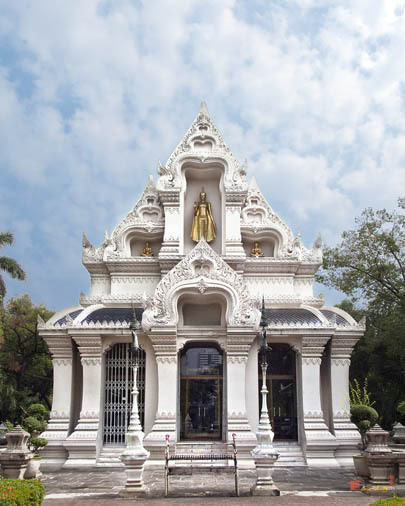 Wat Ratchathiwat Ratchaworawihan, วัดราชาธิวาสราชวรวิหาร, is a second class Royal Monastery of Ratachaworawihan, formerly called Wat Samor Rai. 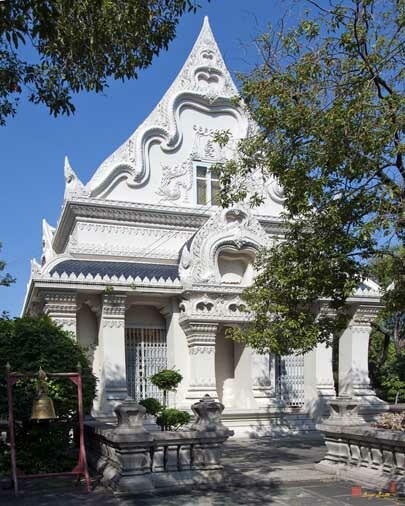 The temple was presumably built during the Krung Lavo or Ayutthaya periods. 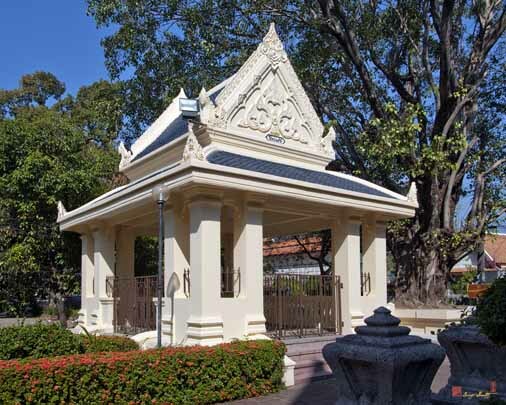 It was re-established by Somdet Krom Phra Ratchawang Bowon Maha Surasinghanat (King Rama I's younger brother) during the Rattanakosin period. 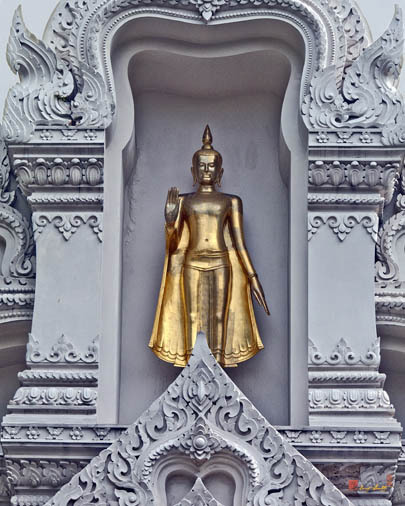 King Rama IV, while he was in the monkhood, resided in the temple. 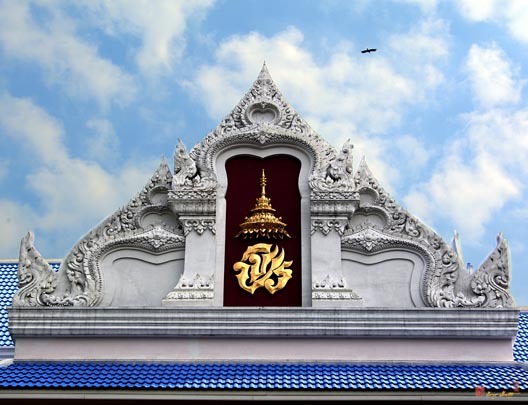 After his succession to the throne, he renamed the temple to Wat Ratchathiwat Wihan, which means "The Temple Where the King Resides". 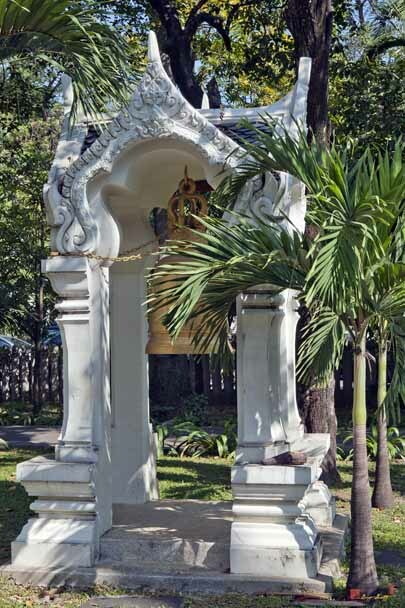 The temple was the first Aranyawasi temple (Forest-dweller temple) of the Dhammayuttika sect. 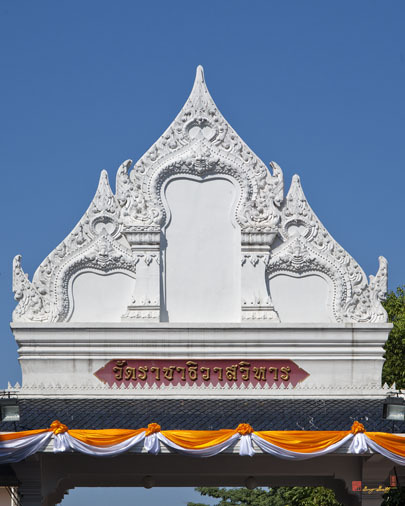 The Ubosot (Ordination Hall) imitates Khmer-styled architecture. 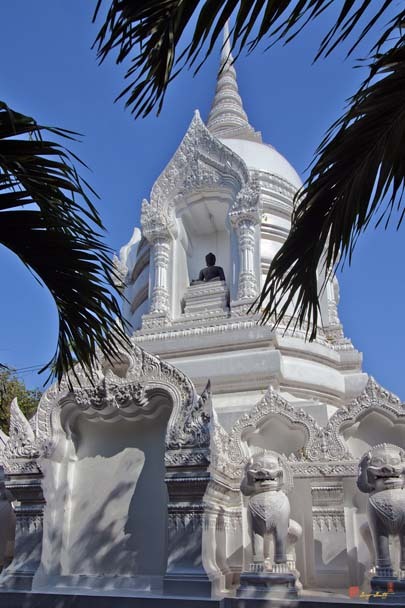 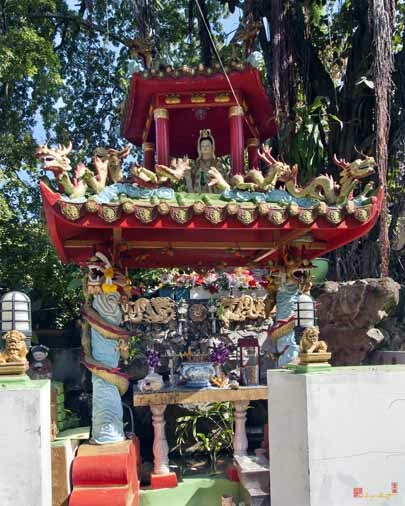 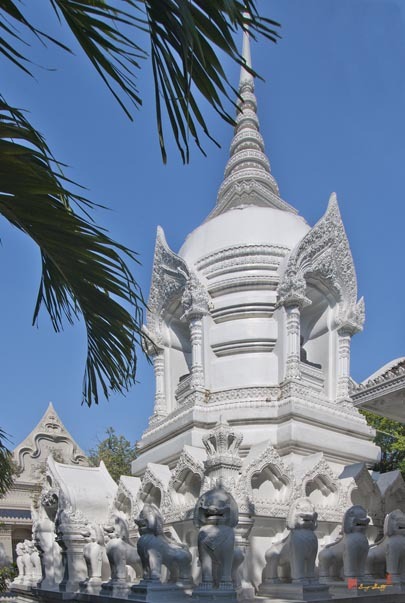 The principal Buddha image, Phra Samphuttha Phanni, is enshrined within. 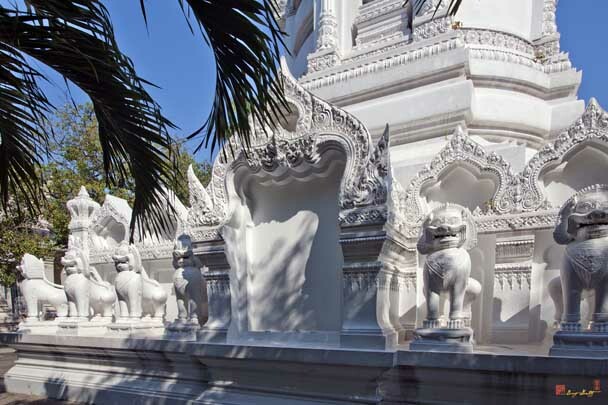 Mural painting in Fresco technique depicting the story of Vessandara Jataka was done by an Italian artist named Mr. Rigoli. 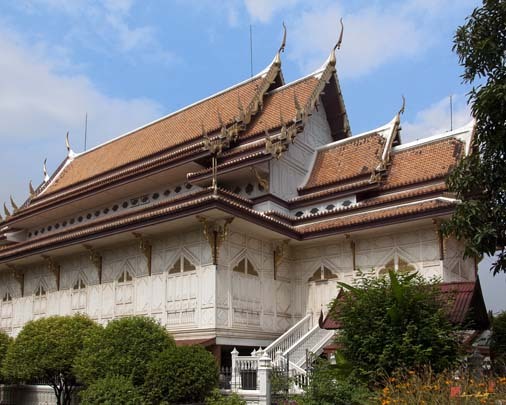 Sala Kanparian (the Sermon Pavilion) is a large building built entirely of teak. 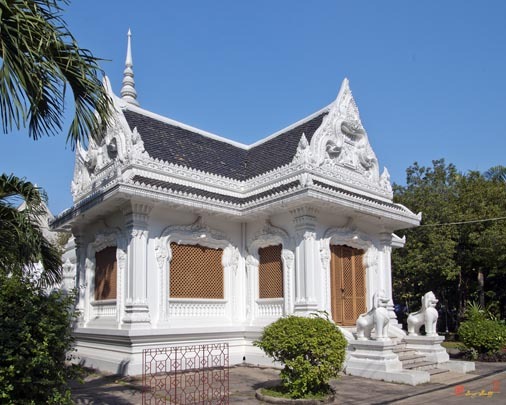 This building was designed by Somdet Phrachao Borommawongthoe Chaofa Krom Phraya Naritsara Nuwattiwong. 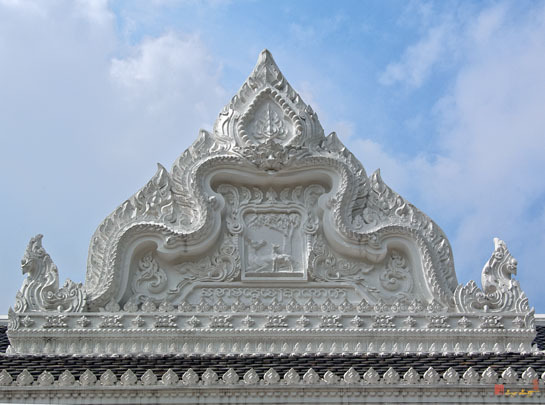 Adapted from an historical marker at Wat Ratchathiwat Ratchaworawihan.